Congressman Steve King is releasing a copy of a letter he sent to President Trump this morning in which Congressman King requests that the President “expeditiously approve” Iowa’s request for a major disaster declaration related to recent severe flooding. Iowa’s disaster declaration request comes in response to severe weather beginning on March 12 that produced flooding which caused significant damage throughout the state. Governor Reynolds submitted the state’s formal request for a disaster declaration yesterday evening. The 57 counties included in the state’s disaster request are: Allamakee, Audubon, Black Hawk, Boone, Calhoun, Carroll, Cass, Crawford, Decatur, Greene, Hamilton, Howard, Jasper, Lyon, Madison, Mahaska, Marshall, Osceola, Page, Pocahontas, Polk, Sac, Sioux, Tama, Union, O’Brien, Dickinson, Emmet, Clay, Plymouth, Cherokee, Buena Vista, Kossuth, Hancock, Wright, Franklin, Butler, Hardin, Humboldt, Webster, Winnebago, Woodbury, Ida, Monona, Harrison, Shelby, Guthrie, Dallas, Pottawattamie, Mills, Montgomery, Fremont, Adair, Bremer, Winneshiek, Fayette, and Iowa. In addition, FEMA’s Individual Assistance Program has been requested for 12 counties. Those counties are: Crawford, Fremont, Harrison, Ida, Mills, Monona, Montgomery, Page, Plymouth, Pottawattamie, Shelby and Woodbury. 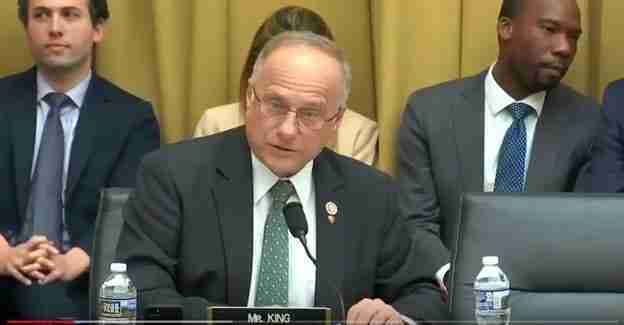 King also reminds members of the public that that his official Congressional website, https://steveking.house.gov, contains important links to information regarding state and federal flood resources that may be of assistance to Iowans affected by the recent flooding. The links are reproduced below, but they may also be found on the home page of the Congressman’s website under the “Constituent Services” tab. Included links contain important information about USDA disaster resources that may be of particular interest to agricultural producers who have experienced loss. I respectfully ask you to expeditiously approve the request made March 21, 2019, by Iowa Governor Kim Reynolds, for a declaration of a major disaster for the State of Iowa as a result of severe weather that produced severe flooding. These severe weather conditions caused significant damage to public and private property starting March 12, 2019, and continuing throughout the month. The 57 counties included in this request for public assistance are Allamakee, Audubon, Black Hawk, Boone, Calhoun, Carroll, Cass, Crawford, Decatur, Greene, Hamilton, Howard, Jasper, Lyon, Madison, Mahaska, Marshall, Osceola, Page, Pocahontas, Polk, Sac, Sioux, Tama, Union, O’Brien, Dickinson, Emmet, Clay, Plymouth, Cherokee, Buena Vista, Kossuth, Hancock, Wright, Franklin, Butler, Hardin, Humboldt, Webster, Winnebago, Woodbury, Ida, Monona, Harrison, Shelby, Guthrie, Dallas, Pottawattamie, Mills, Montgomery, Fremont, Adair, Bremer, Winneshiek, Fayette, and Iowa. The Governor also requested assistance though the Federal Emergency Management Agency’s (FEMA) Individual Assistance Program for the 12 counties of Crawford, Fremont, Harrison, Ida, Mills, Monona, Montgomery, Page, Plymouth, Pottawattamie, Shelby and Woodbury. Statewide hazard mitigation was also requested. After a comprehensive assessment, Governor Reynolds determined this incidence of severe storms and flooding is of such severity and magnitude that effective response and support is beyond the resources and capabilities of the State and affected local governments and that supplementary federal assistance is needed. I can personally attest that each of these requests is absolutely essential to combat the flooding that covers such a wide swath of our state. My team was the first to have boots on the ground in the 4th District’s affected areas, and I am working closely with local leaders to help our District recover from this disaster. Having surveyed flood damage in Missouri Valley and Hornick yesterday afternoon, I was personally briefed on emergency response efforts by Mayor Shawn Kelly of Missouri Valley and Mayor Scott Mitchell of Hornick. I was also accompanied by first responders in each community who further briefed me on the local impact of the flooding. In Missouri Valley alone, approximately 1,000 people were evacuated due to the flooding and first responders conducted approximately 20 water rescues. Mr. President, I have grown to admire your willingness to always put the people of this country first, no matter how difficult and in the face of adversity. Based on the damage I have seen, I encouraged Governor Reynolds to submit the State’s request for a federal disaster declaration to the President as soon as possible. Since she has done so, I respectfully and urgently ask you to grant it, and I have asked all the other members of our delegation to do the same. I thank you for your prompt consideration of this request and look forward to working with you and your administration to help expedite this much needed assistance to our hard-working Iowans.